An assortment of picks types and gauges. 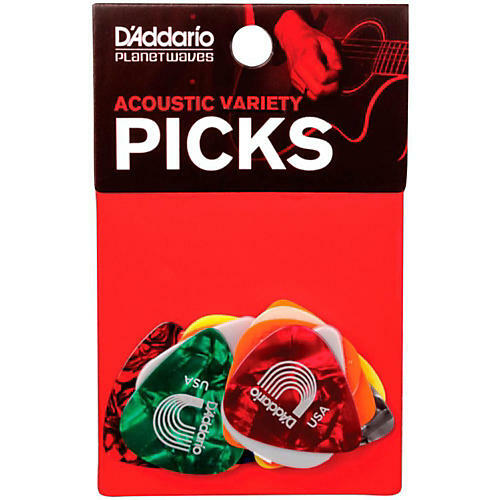 D'addario's Acoustic Variety pack consists of 13 assorted guitar picks in various materials, shapes, and thicknesses. Nylflex provides a warm sound, while Celluloid has a well-rounded tone. Gripped and wide-shaped picks offer extra control, and Light to Medium gauges provide flexibility while strumming. Try them all to find your perfect acoustic sound. Find the pick that's right for you. Order today.